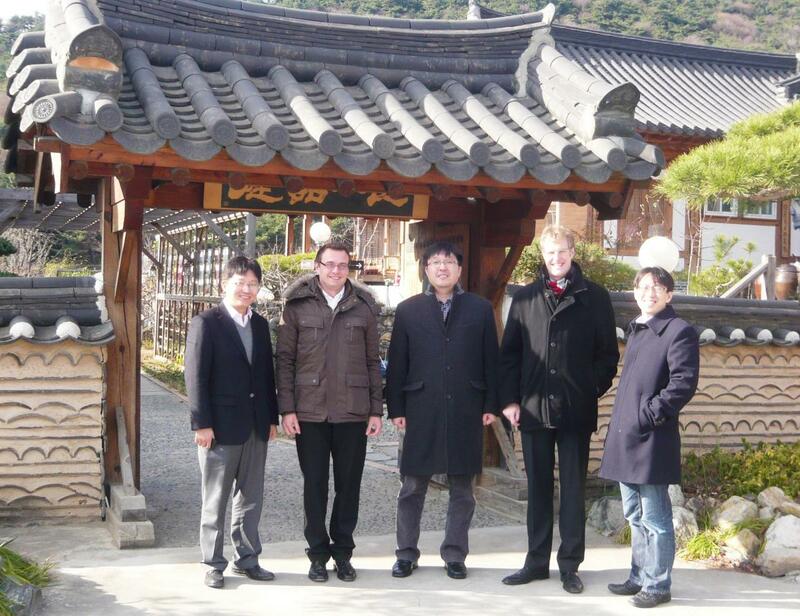 The current state and further research prospects of the NSS project were debated with researchers at the Ulsan National Institute of Science and Technology (UNIST) on December 10th. Initiated by the Korean government in 2004, UNIST has been establishing itself as an emerging research insitution in Korea. Ulsan in the No.1 industrial city in Korea, hosting amongst others the biggest ship-building plant as well as the biggest auto assembly plant worldwide. Therefore, the region constitutes a prime opportunity for triangulating research that has been performed in Germany in collaboration with the High Tech industries, amongst other in the research projects FlexNet, ServPay, and ServDEA, all of which set a focus on the servitization of manufacturing companies in the investment goods industries. In a very fruitful debate, potential for further collaborating on NSS topics was identified. In particular, service process mining was rated as a top opportunity for joint research. The NSS project aims at sending a guest researcher to UNIST in 2012 in order to further develop these ideas and to jointly publish them in a research article. Furthermore, launching student and research exchange programs and opportunities for jointly applying for research funds were discussed. UNIST is the only university in Korea Republik to offer English language classes only.